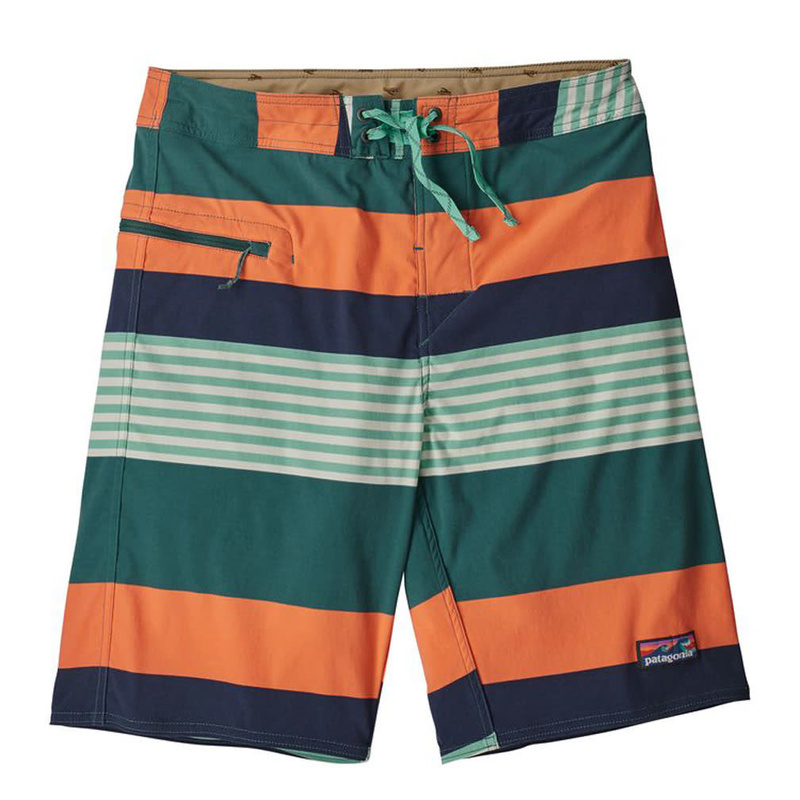 Adding stretch to the durability and comfort of our tried-and-true Wavefarer® Boardshorts, the Stretch Wavefarer Boardshorts feature a quick-drying 95% nylon (65% recycled)/5% spandex fabric with a DWR (durable water repellent) finish and 50+ UPF sun protection. 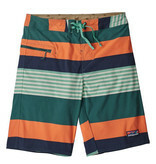 Our Stretch Wavefarer® Boardshorts are just that: Wavefarers that stretch. Durable and quick-drying, they combine our classic Wavefarer construction with the increased flexibility and performance of a 95% nylon (65% recycled)/5% spandex blend. The fabric has a DWR (durable water repellent) finish and 50+ UPF sun protection; the contoured, self-lined waistband offers a secure and comfortable fit on the hips. A forward inseam helps eliminate chafing, and the fine-tuned seat and side-seam design provide maximum comfort and freedom of motion. Flat-lying fly with single rubber button is optimized for comfort while paddling. Closure is a bartacked ladderlock drawstring that adds security and durability; self-draining right-hip pocket has a corrosion-proof plastic zipper, internal key loop and added zipper pull for ease of use; the pocket also doubles as a self-storage pouch. Outseam is 21".